Toddlers have a really sweet interest in babies (even though they aren't far from being babies themselves!) This a chance to teach your toddler from the Bible. Parent Preparation: Read Matthew 1:21 and Luke 2:1-20. Simplifying records for a toddler takes preparation ahead of time to be accurate while simplifying. Do one or two of these teaching activities at a time with your toddler. 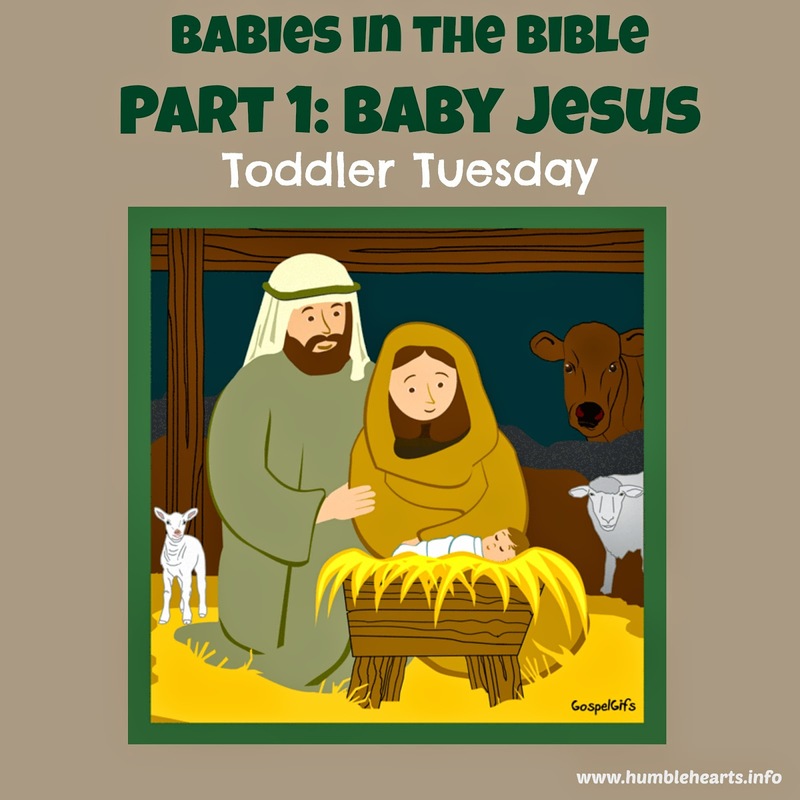 Read about about Christ's birth in a board book Bible. Wrap up a baby in a blanket for your toddler to hold while you teach your toddler about baby Jesus. Talk with your child about who is your child's mother and who is your child's father. Teach that Mary was the mother of baby Jesus. God was the Father, so Jesus was the son of God. Tell your child where you got the idea for your child's name. Then tell your child how God sent an angel to tell Joseph to name the baby "Jesus", because he was going to save his people from their sins. Sing the chorus to "Away in a Manger" with the motions. Video here. Sing with your child "Christmas, Luke 2:11" from "Songs For Saplings ABC" by Dana Dirksen. Listen here. Pretend with your child to be the shepherds going to see baby Jesus. Act out being the shepherds telling people about baby Jesus. Sing the chorus to "Go Tell It On The Mountain" with motions.